It would seem that heady days of Mr Blobby are most definitely over. The bungling and colourful character is now in a bad way in Marbella, according to his former co-host, Noel Edmonds. In an interview with The Mirror newspaper, Noel Edmonds spoke candidly about the current life that has befallen Mr Blobby. When asked if he could ever foresee a time when he and Mr Blobby worked together again, he replied, “Hopefully not”. 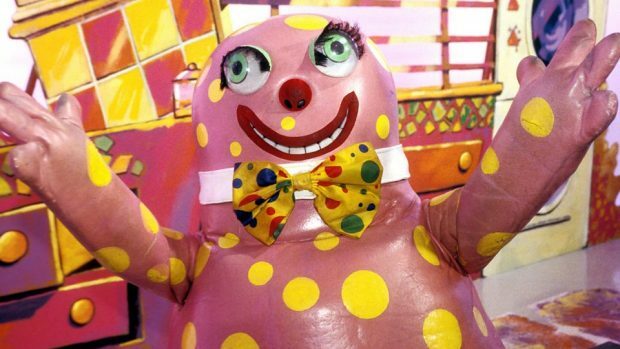 Mr Blobby shot to fame in “Noel’s House Party” in 1992, where he enjoyed life at the top until 2000. He has appeared as a guest on various programmes since then, including “The Big Fat Quiz of the Year” and “The Last Leg”. Noel Edmonds is currently in Australia as one of the contestants on the popular television show, “I’m a Celebrity: Get me out of here”. Ed: If Mr Edmonds is a man of character who values true friendship, he’ll use some of that large fee (for his current role) to pay for poor Mr Blobby to go into rehab or, at the very least, buy him some baking soda to help restore him to his former glory. Everyone goes through tough times and Mr Edmonds is in a position to help.